Live music, great atmosphere, awesome food, and amazing drink deals. All you need to bring to the party is your mates! Trek into your local Walkabout for the best food and drink this side of the big red rock. We combine the best range of quality Aussie & Kiwi beers, with a superb range of tucker to suit all tastes and budgets. Massive screens and one, if not two, sky channels combine to ensure you never miss a goal, pass, touchdown or a single moment of any game we televise. 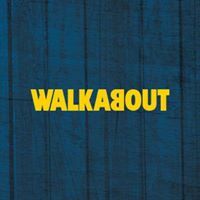 Walkabout keeps it Rockin on most nights of the week with LIVE MUSIC from the best guitar-based Pop/Rock party bands and professional DJs in the UK, making Walkabout the leaders on the high street for live entertainment. Solo Acts and Duos, DJs, Top UK Cover bands, Tribute Acts, Name DJs and Celebrities, you’ll always find there’s something great going on down at your local Walkabout. Walkabout is a great place to hold your birthday party, hen or stag night, with everything right there to have a great time.